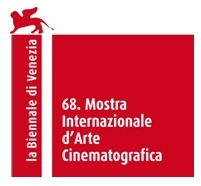 The 68th Venice International Film Festival, organized by La Biennale di Venezia, will run at Venice Lido August 31st through September 10th, 2011. Marco Müller is to direct the 68th edition. He has been heading the Venice Biennale’s Cinema section since 2004. The official line-up of the 68th Venice Film Festival will be announced during the official press conference to take place in Rome on Thursday 28th July.